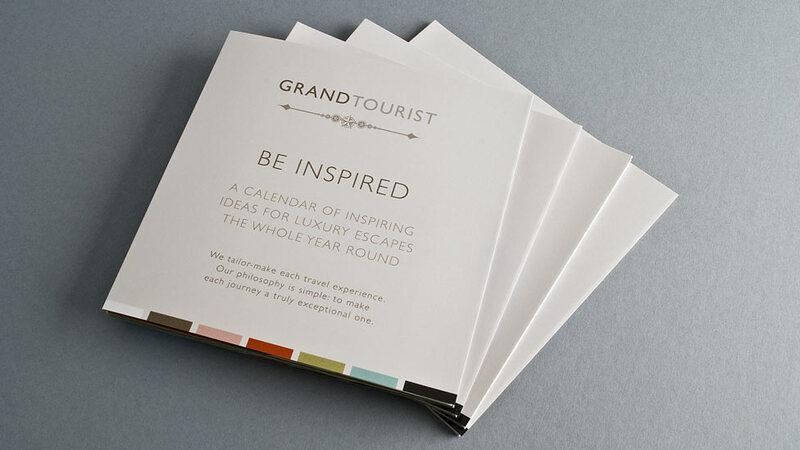 An innovative and clever marketing idea, this travel direct mail piece is a unique way of advertising the luxury and exclusive holiday experiences offered by Grand Tourist. Grand Tourist understands that in the premium market, capturing the essence and the small details behind a luxury experience in a memorable, yet subtle way, is essential to establishing a real and lasting connection with the target audience. This direct mail campaign had to not only help increase sales figures, but also to transmit the right kind of brand message. 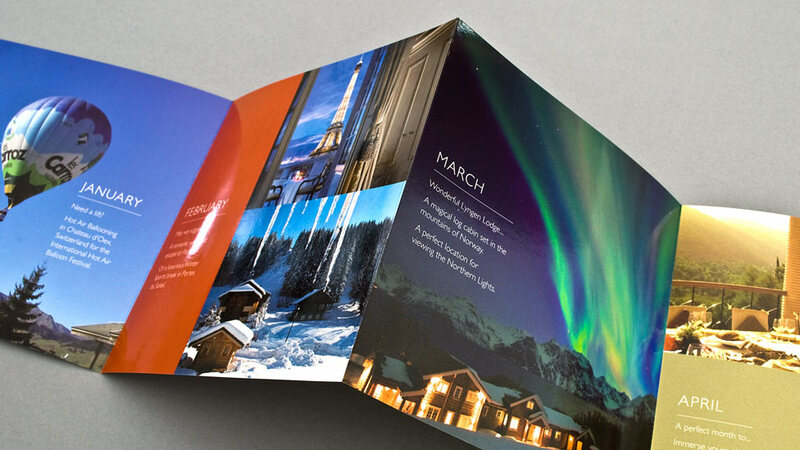 The memorable travel direct mail we created features a playful 14-page concertina folded booklet. Marketing a different destination every month, the direct mail piece immediately attracts the attention of prospective customers. 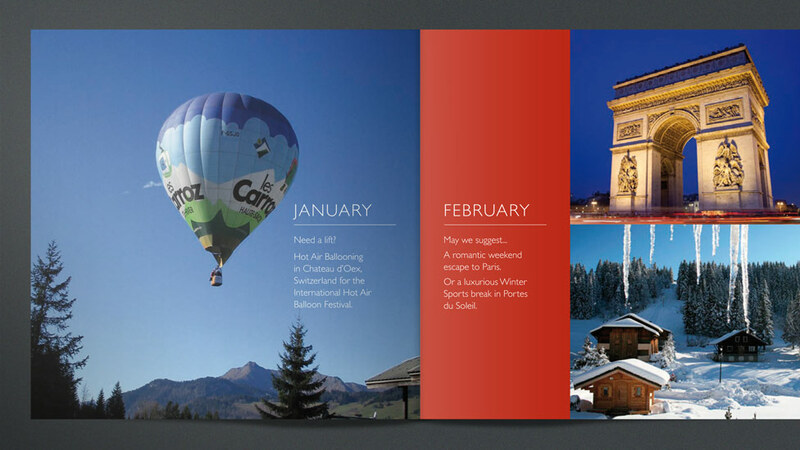 The clever design also doubles up as a beautifully designed travel calendar promotion piece. Spectacular photography of the most exclusive destinations and experiences, next to inspiring copy and large blocks of vibrant colour contribute to a striking and aspirational look and feel. 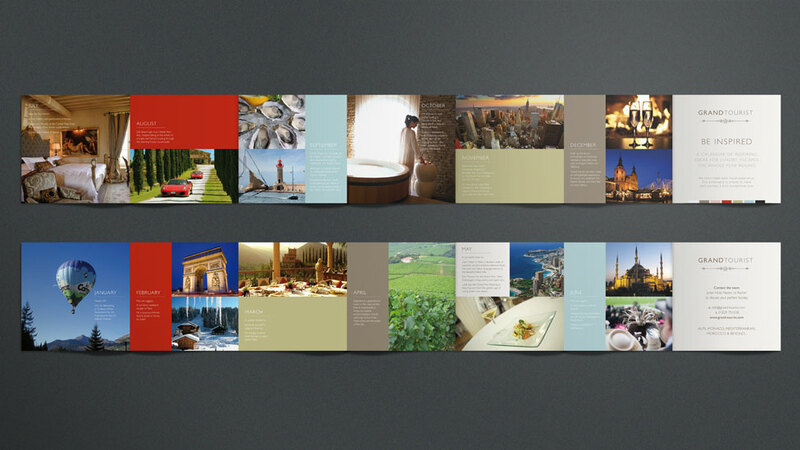 Once the unique travel direct mail pieces had been designed and printed, they were delivered to our client’s existing customer base, as well as potential new customers in premium quality branded envelopes – all adding to the exclusive nature of the travel experiences offered by Grand Tourist.